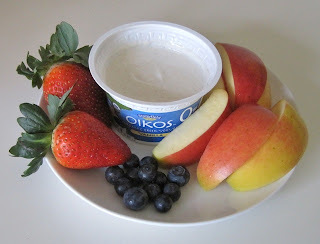 A Daily Dose of Fit: My big fat Greek yogurt snack. Do share the no cream penne recipe. Mmmm makes delicious tzatziki sauce to top the lamb/turkey burgers I make. Oh, my mouth is watering just thinking about them. Wish I could eat meat today!